"Simple cost effective VoIP PBX for any business." The Switchvox solution's best quality is it's vast wealth of flexibility at an affordable cost. Full featured IVR's, Hunt Groups, Queues and the like are all included. When exploring Cloud based systems you'll notice you get nickle and dime'd a lot for certain features like Call Center, Receptionist and management capabilities. With Switchvox, you get everything in one solution and all you pay for are the user subscriptions and support/maintenance. There's not too much to dislike about the Switchvox solution, but if I have to dislike something it would be the mobile app. It's better now than it's first iteration but it still doesn't work well 100% of the time. If you're looking for a PBX or even a cloud based solution you should seriously consider Switchvox. It's ease of use and features for the cost can't be beat. For our business, we wanted something that we have control over, can easily learn and manage, and use for all functions of the business; meaning Sales, Service, Receptionist and Call Center. The Call Center functionality provides managers the ability to listen in on calls and barge in if need be. It also has a Queue dashboard to see hold times and other helpful information. The Switchboard helps our Receptionist see incoming calls, even pinpointed on Google Maps, and move them in a web based GUI to any extension and even directly to voice mail. These features and many more I don't even have time to mention helps our business function efficiently. Below you will see several reason why we love our new phone system. One of the most important things to us is customer service. We have been working with one main contact from beginning to end. Initially we had tons of questions and requested several in person meeting to make sure we were making the best choice for our needs. Sean never hesitated once in our request and did an amazing job making sure we had all our questions answered. The work that needed to be done for installation was minimal on our end. Sean literally took care of everything. We had a few questions at follow up and we were always able to get a response from him immediately or within the hour. His customer services is flawless we literally had no problems! No major dislikes, it may be user error but sometimes i want to add contacts on my phone without having to use the website. Again, this may be my error and may very well be possible. Prior to switching to Digium Switchvox we were using another company, paying the same price (more at times) and had less perks. Our previous phone plan came with NONE of the following: private voicemail, call forwarding, paging, office extensions, auto attendant or long distance calling. The auto attendant feature has been so helpful for our reception staff and it also helps our consumer reach their point of contact with the touch of a button. We also have access to phones in all key parts of the facility allowing us to still manage phone calls no matter where we are in the building. There is also FREE long distance calls, no more monitoring the phone log to make sure we do not have any additional long distance fees! As the Executive Director of a non profit it is important that we have the technical needs of the organization met. All staff now have private voicemails and extension, phone app and call forwarding abilities. As a supervisor, I can monitor phone calls, restrict access when necessary and my phone allows me to see who is on the phone at any given time. Calls are clear and we have had not outages. We are very happy with our new phone system. I love that our offices are all connected. We can easily contact one location with the tap of a button. I also love the ability to control my phone from a web browser! We have enjoyed being able to remotely troubleshoot satellite offices. The phones are very nice in comparison to other vendors we have used in the past that were similar to Digium. I think that the ability to customize hold music would be a nice feature. Right now the options are not the best. I also think that the interface for admins could be more user friendly. Right now we rely solely on the help from our third party to make changes, and this is a larger cost for us as a business. If we could know more about how to use the software or make it more user friendly, it might be of better use to others. I highly recommend Switchvox. My biggest recommendation is to utilize a form of fiber internet connection as with any VOIP system, this will improve your service. I have used other VOIP providers in the past, but this one by far has had the best features from a business perspective. The use of the web browser interface and phone application has made this system perform on a very competitive level. We have the ability to track productivity out of our offices with the call logs. We also have had relative ease with remote employees being able to conduct business from their cell phones and even have the ability to take their phones with them to work from remote locations! The ability to control satellite offices from a home office location has tremendously affected our business in a positive manner. Previous providers did not allow the use of an application on the mobile phone, and this has helped greatly with the expense of employee phone bill reimbursement. "Wonderful solution to fit our needs and budget!!" Perhaps the best feature I like is the ease of programming. We can quickly add phones including soft phones, develop custom menus and create call queues. Along with the main menu, we required various types of menus based on department. I was pleasantly surprised at the flexibility available to us. As our company changes, so do our menus. We can rapidly update our menu trees. The portal interface could be updated and more user friendly. Review the documentation and training materials so you learn the capabilities to best customize your system. A good reseller for support is a big plus. We are a startup company and needed to upgrade our phone system. After evaluating several systems and vendors, we concluded that Digium best fit our needs and our budget. We now can fax from our pc and provide meaningful metrics. As we grow, we will utilize the call center functionality. By working with our vendor, we have saved not only money, based on other systems costs, but have saved time which is not in abundance as a startup. "Easy to use stylish phones"
I love my D80 and how easy it is to use. I sync my Bluetooth to my device for easy hands free use and also use the Switchobard to answer and make phone calls. I also enjoy being able to log associates in and out of call groups, pull call reports, and monitor the system live. Mobile app is buggy, works most of the time but I have had to update multiple times and it tends to get stuck on the configuration. We have to refresh the token to be able to properly scan the QR code. Simplicity of programming is amazing. System is able to everything we have asked. Remote workers are on the same phone system, Switchvox can be used from our salespersons mobile phones, and associates that work from home can have one on their desk. The software licensing makes it easy for us to have the features we want whenever we need them without being forced to pay more. Fully featured/functional phone system. "Who Wouldn't Want to Reduce Phone Cost's by 80%"
how often this happens. (sometimes 3-4 times a week). Get a good reseller. I have worked with 2 different ones and it made all the difference. This solutions provided a unified communications platform. It allowed us to: (1) converge three phone systems to one (2) standardize handsets across campus (3) upgrade and improve our voice communication capabilities (4) get the greatest value for our initial investment (5) reduce our recurring costs by 80%. "Why I like Digium "
Easy or use and great support with low wait times. Not having a hot spare option which was nice in the previous system we had. We were on a 3Com/HP VCX and after only a few years lost support for that product. So we needed something cheap and easy to use. We also wanted something that we felt comfortable with not going out of business and leaving out with a mess like the VCX did. We have accomplished all the above and also have great features like the Digium app that our staff like to use. The user portal and WEB Switchboard supply all of the detail we need to manage our calls in a real-time and historical environment. The administration is simple and easy to manage. Our daily and weekly scheduled call reports provide the information so that we can schedule our office staff for our peak hours. There are no dislikes. Digium has added feature enhancements throughout the last 6 years we have had their hardware and handsets. I recommend a demo presented by a Pinnacle dealer or Digium directly. We have remote after-hours sales and support staff that can now manage the calls with all of the detail that we see as if we are in our office. The great thing about Switchvox is that the same system can meet the needs of a small 5 person operation, all the way up to a call center with hundreds of agents. It is very easy to set up and manage their extension, voicemail greetings, call rules, etc. I think my biggest gripes are more to do with VoIP in general. Call quality or signaling issues can be very tricky to pin down. It turns into a pointing match between Digium, the phone service provider and the network equipment vendor. It might be better if Digium could recommend a specific vendor for networking equipment. Make sure your network is set up for VoIP - VLans and QoS are essential, especially if you plan on having desk phones at branch offices. The training program for support is extensive but I think a "canned" training program to give customers that we sell a new system to would be excellent. Customers can quickly reach the party they are trying to reach through our IVR. After hours calls can be routed via text, email or forwarded to a cell. The service desk manager can easily tell who is on the phone from their web console. 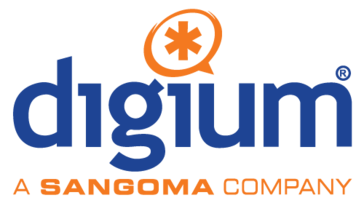 "Digium - Great for small businiess"
Digium is a great VOIP system for small business. It has a simple and easy to use design, great hardware, and a great feature set. Support has always been top notch too! I would like it if the Digium branded phones had built in VPN clients. Much simplier that other popular systems. Has been a great system for us. And in our case, about 1/3 cheaper. We moved from an outdated PBX to VOIP and have seen lots of savings from moving to a Digium system. We have also integrated the Digium into our project management software to automate dialing with just a click. We have never had any problems with our 355, or our 305 and we have had both over 7 years, it is very easy to manage, and the call quality is great. I wish the new switchboard interface was more like the old one, make sure that you get all digium phones when you buy it. Get a demo and you will love it, you can try it out in the cloud first and then move to a hardware based system if you need to. The phones are very user friendly. The law firm I joined had used the same phones for a very long period of time, but switching over to Switchvox was very easy and quick. I would recommend these phones for any type of business. There is nothing that we dislike. I would add that occasionally we had phone calls dropped, but I believe this had to do with the users on the other end of the call. The phones provide us an excellent way to communicate with our clients. I have used Toshiba cloud service in the past. Since switching to Digium, there is no dropped phone calls, no lost voice mails, like the wait features, Service from Fowler's Technology is excellent (beyond comparison). the D 60 (free phone) have trouble connecting to the server and it times out. it is an excellent system, lot of features. it has definitely improved the patient satisfaction. I have only got handful of complaints about the phone system now, earlier it was a daily issue. my patient are liking it. Now I am able to provide a direct phoneline (some of my high referrals resources), with distinct ring tone and ringing at several extension at same time. We use Digium to manage our Polycom phone system. My favorite feature is the reporting.. I can run reports on when my calls are coming in and which options they are choosing when they call the 800 number. This allows me to have the right amount of people scheduled and on the right lines for the best customer support. This also helps prove if and when our reps called a customer. The usability of some features is difficult for a novice user. There are certain words and phrases used that would be foreign to some one that is trying to set up their own extension to forward or to set up multiple call rules. This is a great product that is changing and not only keeping up with the times but becoming more and more innovative as the years go by. We are solving our issue of scheduling. with the great reporting. available. "Perfect for managing users, phones, and phonecalls"
I love that I can log into Switchvox and see my call logs, phone calls, messages, users, and switchboard status. I use this to check to see if users are on the phone or if a certain person transfers a call to me. It is very user friendly and being able to change your greeting and your away settings is perfect. As someone that recently went on a business trip, I needed to have my calls forwarded to my cell phone and it was extremely easy. The interface is actually quite awful. It is not intuitive at all and you have to do a lot of searching to get to what you need. I would make it a little easier to navigate and find the certain places that need to be navigated to most often. Possibly make a homepage that can be edited to a consumers liking with the different categories. This is the best software you can get to manage a phone system. There certainly are limitations, but most software will have their downfalls. Good thing is that this software doesn't have many. We have an office of about 20 people along with a switchboard, this makes customers that call in directed to the correct department and eases the minds of everyone. It is something that once it is set up, you don't really need to worry about it anymore. The user management is relatively easy, I love that I can check who is on the phone and who's not. Easy set-up & configuration compared to conventional PBX systems. Expansion is easy, and we can tie our remote offices into one unified phone system. Nothing, really. It does what we need it to do. Unless you're a telco specialist, I would recommend working with a vendor for the initial setup. We have in-house control over things like call routing and complex IVRs, which was not the case with the system we replaced this with. "Great system with minor issues." 1) touch screen and the favorites making calling regular people much faster. 2) we have one phone number and five "lines" that are available. We don't often need more than 2, but it's nice that the phone will still ring if two people are on the phone. Sometimes the touch screen doesn't register my touch. Also there have been a few times there's a lag between answering and when it connects. As stated before, we can have more people helping patrons at one time. We previously only had 2 lines and if we were making a call and a patron needed to call someone, we couldn't continue to accept calls. We also have be able to go back and check phone logs. Finally, while we haven't needed it yet, the ability to change our message from home will be a game changer when winter weather hits. The ease of provisioning and managing phones is a cinch. Managing extensions, queues, and inbound call rules is very intuitive. I love that, through the admin portal, you can login to all provisioned phones, making any end-user questions easy to answer. I also like the fact that end users can manage much of their own phones' functionality. About the only thing I don't like about the Switchvox is the complexity of the IVRs. While they function fine, you will spend alot of time configuring the system to get it just so. While many other systems are just as difficult, if not more, Switchvox can still be configured by an admin who has very little experience working with voip systems. If you have a small-medium sized business, Switchvox may be a good way to get started. I enjoy that fact that while we have many external numbers being routed into the business, Switchvox makes it easy to send specific numbers, or ranges of numbers, to internal extensions. Set your business hours inside of Switchvox and automatic call forwarding outside of those hours. As an employee who spends little time at my desk I love that I can access my voicemail inbox through my email at anytime. It also makes it very easy for me to forward messages onto other recipients without ever having to use my office phone. For someone who spends most of their time meeting with clients away from my desk this makes me much more efficient. I wish deleting a message from your email inbox would also give you an option to delete it on your phone from the email. It would be nice if dialing from the call log would automatically include the "9" dial out number. Without that the dial is virtually useless for any outside calls. In event coordination its so important to never miss a message from a vendor or client. So many of these events take place with a very fast turnaround that requires constant monitoring of voicemail and calls. This makes it easy to manage these calls from afar. I love that I can forward calls to my personal phone when necessary but don't have to clutter my phone with these calls when I'm not working. Ease of use and features - System is able to do much more than we need at this time. issues with time allowed on parked calls before it recalls. Great system - a bit of trial and error on set-up making sure your network is running in the best configuration. Once all the bugs are out, it is a great system and I recommend it to others. just using as a phone system - not utilizing all the system can do as other features really are not needed for our business. "Best in class SMB IP PBX/Unified Communications"
The product development cycle and customer support are great! There are still a few things that Switchvox is behind the curve in. Particularly skill based routing. Take advantage of all of the training resources Digium has to offer. The system is so much more capable when you are fully trained on how to best implement it. Call centers, Business phone systems, & VoIP consolidation. Switchvox is an industry leader in innovating new features and bringing enterprise class PBX solutions to the SMB. "Switchvox good for entry into VOIP"
As a CS Manager, the free ACD and the reporting suite. It's not hard to configure IVRs, also. The fact that it does not include a speech recognition component. It has to be custom-built. Switchvox is a viable entry into VOIP. It's open source, so integration with other components shouldn't be tough. For CS, we have the flexibility to easily program any outgoing messages we want. The Switchboard GUI is super easy to use and understand. Easy to use GUI; amazing features. Endusers have been extremely happy about the transition from their old phones/system. None at the moment. We've deployed phones to approx 50 users; all users have found the transition easy. District Wide Communication: Overhead "zone paging" adds security and safety between buildings and administrators. "Daily usage with minimal downtime." It rarely crashes. Although the UI looks antiquated, it's very easy to read to gather information quickly from it. The switchboard doesn't adjust easily to windows size changes. Other panels besides current calls sometimes don't open within same window. needs more features. our phone does not have the option to add an additional extension to our phones. We are now able to install our digium phones anywhere which gives us better communication at our resort. I like the functions - it is easy to transfer and use. "Very pleased with the phones." The system allows us to have the comprehensive functionality of a large corporation, on a small business budget. I would prefer that the Bluetooth functionality work with more headset devices. We are solving the need to have an employee serve as a receptionist. "Best non-cloud based VoIP offering for the price." The web portal, the soft phone, the reliability, and the ease of use. The web portal allows for extensive customizing of scheduling, groups, profiles, and a message board. Like all VoIP, rare but intermittent QoS issues. These issues manifest in distortion of voice/sound and possible dropped calls. Shop cloud first, but if not an option then make the investment. It will pay for itself in no time. Limiting downtime in support of 100% business continuity. Leveraging employee mobility. I've realized hard cost savings due to both. "Switchvox has made recent changes that I really like"
"Our experience has been excellent." The ability to use the computer and never touch the phone. Speaker volume is not very good and it makes it difficult to do a call and use the speaker instead of the handset. Cannot answer your phone if you are currently talking to someone on your line. When we need help, Sean always gets back with us right away. There isn't anything I dislike about the Digium system. Unified Communications: Hosted vs On-Premises UC. How do you decide? * We monitor all Switchvox reviews to prevent fraudulent reviews and keep review quality high. We do not post reviews by company employees or direct competitors. Validated reviews require the user to submit a screenshot of the product containing their user ID, in order to verify a user is an actual user of the product. Hi there! Are you looking to implement a solution like Switchvox?